Today I have the pleasure of welcoming Tania McCartney to visit with us to review her latest book. 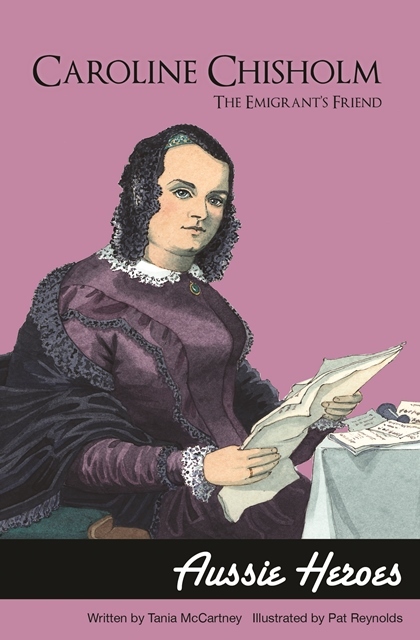 Before reading her story of Caroline Chisholm, I knew a little about this amazing lady, but I had no idea what an astounding contribution she had made to the shaping of early Australia. How lucky Australia was that this courageous woman, born to a life of privilege, was raised with a strong sense of the importance of helping others, and the adventurous spirit that led her to our shores. Without Caroline’s support network for young female migrants, brought to Australia to create the male/female balance, many would not have survived in the harsh environment they found themselves in on arrival on our shores. She not only helped to find them shelter, she started an agency to find them employment. She continued and expanded on this work during her lifetime. Just some of her achievements include networks to relocate women to areas where they could be gainfully employed, starting schools and reuniting families torn apart by fathers being sent to the colonies. And while she was busy doing all of this, she found time to raise a family and write Australia’s first non-fiction book. I was staggered by the many things that she achieved in her lifetime. This woman is an inspiration to all women. of her time is testament to her skill as a writer. While we follow the successes, tragedies and achievements of this extraordinary woman, we are given real insights into the harshness of the environment and the social issues that the first settlers faced. Tania’s ability to create word pictures that allow us to imagine the scene, coupled with the wonderful illustrations, transports the reader back in time. The Aussie Heroes series would not be complete without the story of Caroline Chisholm. 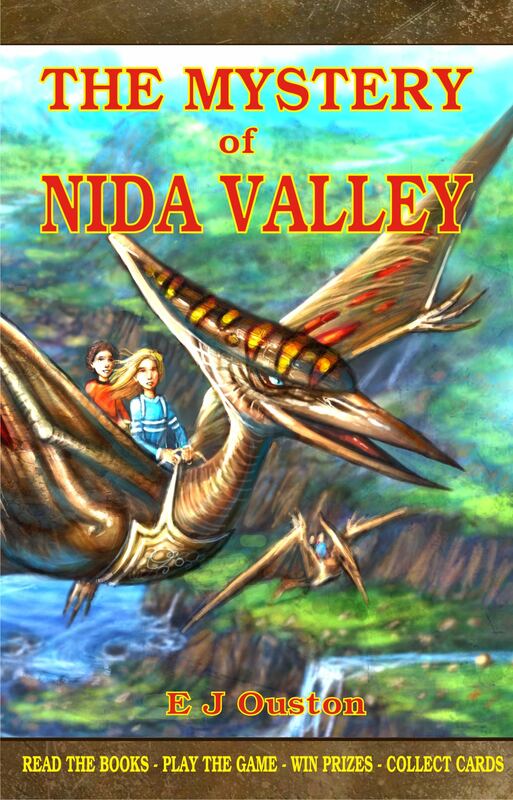 This book is a worthy addition to the series. Well done, Tania. —Henry Parkes’s Empire newspaper, 15 August 1859. The fifth book in the Aussie Heroes series of junior historical fiction, Caroline Chisholm: The Emigrant’s Friend is an illustrated chapter book for children aged 8 – 12, and covers the remarkable life and work of one our Australia’s greatest philanthropists. The book features beautiful illustrations by Pat Reynolds. Tania McCartney is an author of both children’s and adult books, and has been writing professionally for over 25 years. 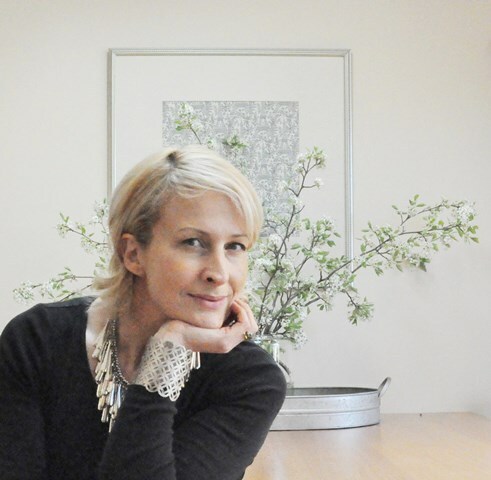 An experienced magazine writer and editor, she also founded respected literary site, Kids’ Book Review. She is passionate about literacy, and loves to speak on reading, books and writing. Her latest books include Eco Warriors to the Rescue! (National Library Publishing), Riley and the Jumpy Kangaroo: A journey around Canberra (Ford Street), Caroline Chisholm: The Emigrant’s Friend (New Frontier) and An Aussie Year: Twelve months in the life of Australian Kids (EK Publishing). Tania adores books, travel, and photography. She lives in Canberra with her family, in a paper house at the base of a book mountain. Follow Tania’s blog tour to find out more about this ‘must read’ book. To today I welcome a very special guest, Tania McCartney, who is an amazing ambassador for reading and writing, founder of Kids Book Review, and a very talented writer. 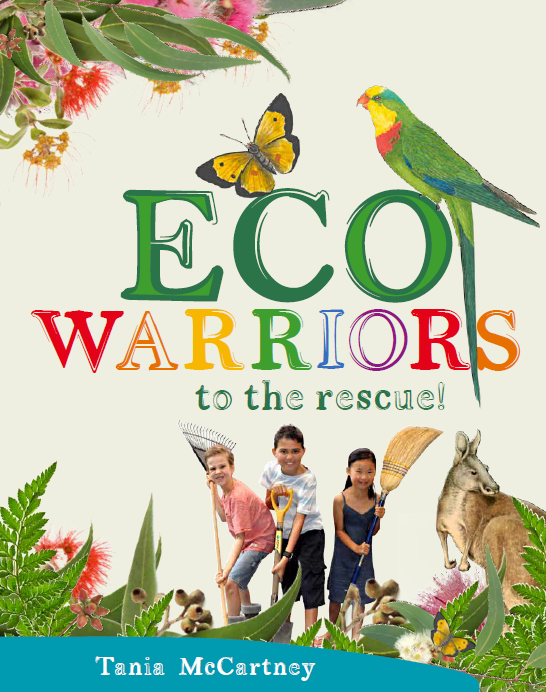 Her latest book, Eco Warriors to the Rescue, features very believable characters, Banjo, Matilda and Ned who embark on a magical adventure giving tips and advice on how to save the Australian landscape for future generations. The book should be in every home and classroom. The information and tips on saving our wildlife, flora, and water-ways are something that many adults need. The use of photographs of children instead of cartoon characters will, I believe, make children relate to and absorb the information more readily. The colourful drawings of the plants add to the over-all appeal of the book and the detailed information on each plant is a valuable lesson for all. I wonder how many adults know this much about our native flora. I congratulate the National Library and Tania for their foresight in creating and publishing this book. Join Banjo, Matilda and Ned on a magical adventure into the Australian native landscape via a series of historic, beautifully-rendered botanical paintings. Entering the very pages of their favourite book, the children interact with all manner of Australian flora including Kangaroo Paw, Wattle and Eucalypt. Along the way, these intrepid warriors seek ‘tips’ to ensure the survival of our native landscape for generations to come. Can these eco-warriors help save our native flora from extinction? Combining modern photography and typesetting with historical artworks from the archives of the National Library, Eco Warriors to the Rescue! makes our beautiful collection of botanical art accessible to the very young. The book also includes interesting facts about Australian flora, as well as floral emblems and birth months, and further ideas on how to keep Australian green. Follow the book’s blog tour to learn more about this fabulous book.